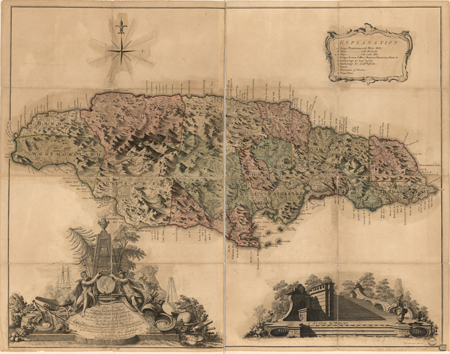 Today in History–May 3–the Library of Congress features the island of Jamaica, first spotted by Christopher Columbus on this day in 1494. This Caribbean nation won its independence from Great Britain in 1962 but is still a member of the British commonwealth. Learn more by visiting the Today in History section, then click the links below to access more resources related to Jamaica. Did Christopher Columbus draw this map? No, the map was not created by Christopher Columbus. Click the map to go to the bibliographic record and view the list of contributors to this map.